Hans Georg Burman (Poorman) "came to America and located in Lancaster County, Pa before 1740." At an Orphan's Court in 1746 his widow Agnes was mentioned and letters of Administration were granted to son Christopher. He and brother Peter shared their father's estate. Peter Poorman and wife Katherine lived in Lancaster County - Dauphin County after 1785 - being listed in the 1790 census there with one son over sixteen (Abraham born Dec 17, 1771.) In 1782 the Poormans deeded land in Paxtang Twp to their son Jacob. Peter died prior to August 23, 1792 when an administrator was appointed to handle his estate. Other children are believed to have been Daniel, Henry, John, Melchior, Michael, Peter, William, and Anna Barbara born March 18, 1769. Jacob Poorman was born January 7, 1742 and died January 11, 1784 according to his tombstone in Shoop's Cemetery in Harrisburg, Pa. He married Maria Werner (daughter of Jacob Werner) on March 5, 1762 and served in the Revolutionary War. His will mentions wife Mary and son Michael. The other children were John (1765), Elizabeth (1767), Jacob (1768), Henry, Daniel (1772). According to Arthur L. Thomas (KingArtTom@aol.com) the remaining children were: Jacob (1766-), John (1769-1845), Barbara (1770 or 1771-), Daniel (1772-1824), Catherine (1773 or 1774-), Mary (1774 or 1775-), Peter A. (1776-1865), William (1780-1852), Melchor (1781-1841), and Henry (1783 or 1784-). I am indebted to Robert Schadt for the information on the children of Michael Poorman, Sr and Jr, and to Bill Shope for the information on the Shope family. 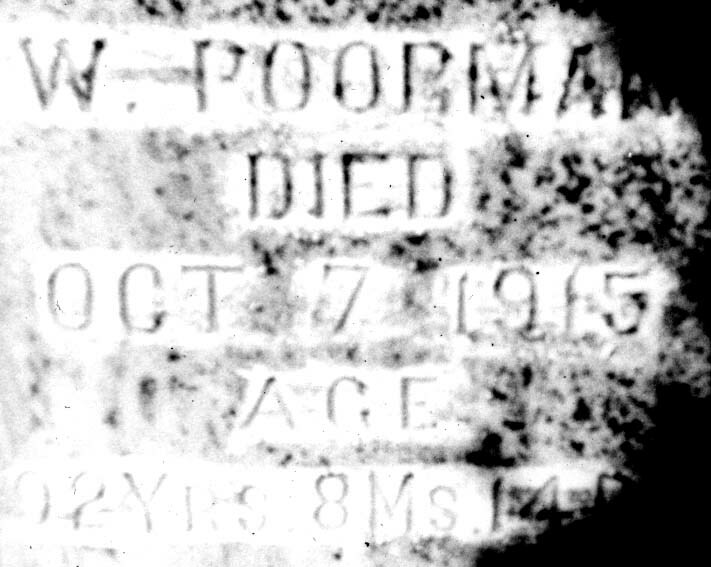 Michael Poorman, Sr was born May 17,1764 and died February17, 1828, being buried at Milesburg Cemetery, Milesburg, Centre Co, PA. He married Mary Ann (Anna Maria) Shope, born May 20,1766 about1786. She died April 28,1850 and was also buried at Milesburg. Mary Ann was a daughter of Swiss born Bernard Shope (Schop) who emigrated from Eichtersheim, Germany in 1753, arriving on the Neptune that year. In 1773 he received a land warrant for 150 acres in Paxtang Twp in current Harrisburg. He fought in the Revolutionary War with the Lancaster Militia and died in 1813. Michael and Mary Ann Poorman's children were Catharine (married Robert Holt), Elizabeth "Betsy" in 1786 (married John Weaver), Barbara in 1788 (married Samuel Green), John (married Elizabeth B. Harper) and Mary (married William Williams) in1790, Michael Jr. in 1794, Jacob in1799 (married Margaret Middleton),William in 1800 (married Martha ? ), Daniel in1808 (married Hannah Barger), Henry H. in1809 (married first Catherine ? and second Hannah Friese). Michael Poorman first appeared in the Centre County tax records in 1815, in Spring Township. Michael Poorman Jr. was born September 5, 1794 and died March 15, 1866 being buried at Milesburg Cem, Milesburg, Centre Co, PA. He married first Catharine ? who was born about 1803 and died June10, 1839. He remarried Catherine? who died September 4, 1848 in Corsica, Jefferson County and was buried at Pisgah Cemetery there. His children were Eliza (married Thomas Searson) in 1818, Wilson in 1823, Ellen (married Daniel Sarvey) in 1826, Harvey (married Eliza Ann Meese) about1828, Harriet about 1830, Hannah about1833 (married F. Steel Heverly), and Augustus Huston in 1838. He was listed in the 1850 census of Clarion Township, Clarion County, aged 62, teamster, with daughter Harriet 20, son Harvey 22, miner, daughter Hannah 17, at school, son Huston 15, at school. Only Wilson, Harvey, Harriet and Hannah were still alive when their father died and Wilson filed a writ regarding his father's property. Wilson Poorman was born on January 23, 1823 according to his death certificate. In June of 1845, according to his pension application, he was married by Rev. 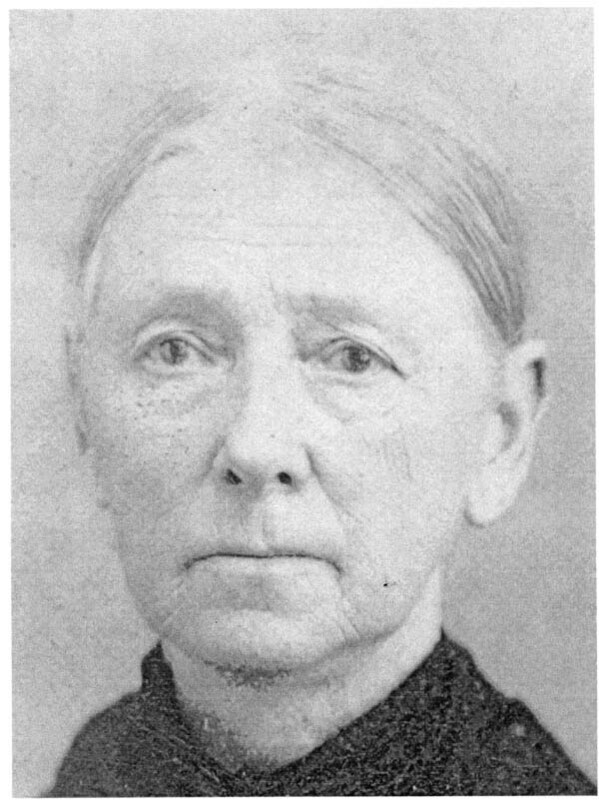 Moser at Pine Grove, Centre County, to Anna Grove (daughter George and Elizabeth Grove).Their daughter Catherine was born on January 19, 1846, according to her death certificate. His pension application lists the other children as George M. born June 30, 1849 and Mary J. born October 11, 1866. At the age of 41 Wilson, resident of Snow Shoe, was drafted into Company G of the 51st Pennsylvania Infantry on September 27, 1864 and mustered out on June 2, 1865. September 29-October 2. Reconnaissance on Vaughan and Squirrel Level Road October 8. Boydton Plank Road, Hatcher's Run, October 27-28. Fort Stedman March 25, 1865. Appomattox Campaign March 28-April 9. Assault on and fall of Petersburg April 2. Pursuit of Lee to Farmville. Moved to City Point, thence to Alexandria April 20-28. Grand Review May 23. Duty at Washington and Alexandria until July 1865. He was described as "5 feet 10 inches, fair complexion, blue eyes, dark hair." The Poormans, with their daughter Mary J, moved to Missouri after the war, being listed in the 1880 census of Linn Township, Audrain, along with their grandson George Garbrick. 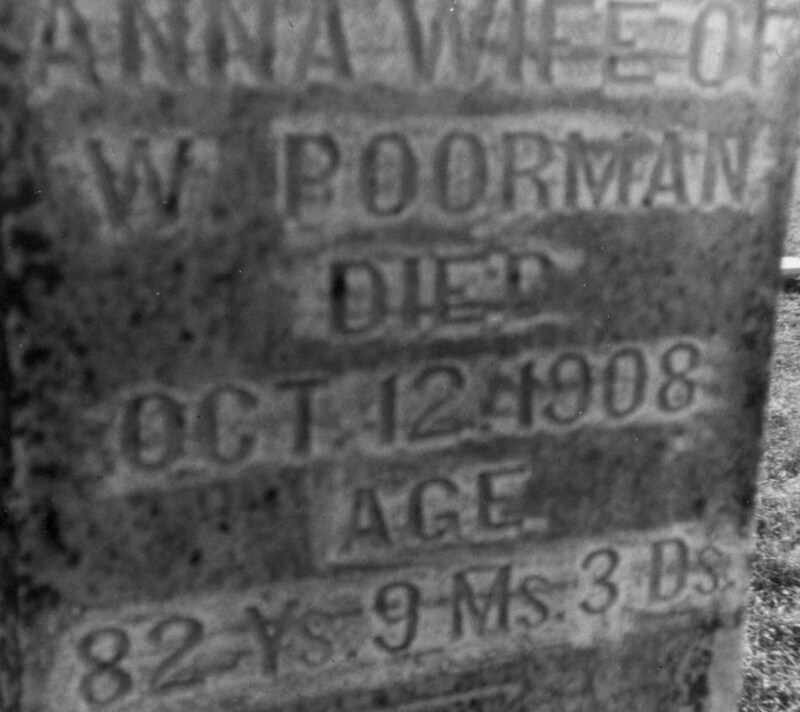 Anna Poorman died on October 12, 1908 at an age of 82 years, 9 months and 3 days. Wilson died on October 7, 1915, in his 93rd year. Below are their tombstones at Laddonia. Catherine Poorman, daughter of Wilson and Anna, married Henry Garbrick.